Amica Mutual Insurance Company has more than 40 offices, or branches, across the country where incoming claims calls and outgoing sales calls are carried out. Amica prides itself on its award-winning customer service, so ensuring that its branch employees can conduct these calls privately and free from distraction is of paramount concern. Additionally, some field office personnel noticed instances where discussions held in private offices were being overheard in the surrounding open-office areas. After trying other sound-abatement treatments and not getting the desired results, Amica’s facility management leadership tasked Ron Rivet from the IT team with finding a technological solution to the problem. After some research, Rivet found that sound masking – the process of adding a low-level, unobtrusive background sound to an environment – might be a viable option. The introduced masking noise, specifically tuned to the frequency and amplitude of human speech, covers up or “masks” excess speech noise, making the affected environment more comfortable, private and free of excess noise distractions. Rivet met with Cambridge Sound Management, makers of the patented QtPro™ sound masking solution, to learn more about it and experience a live demo. After leaving the demo impressed with QtPro’s capabilities, Rivet suggested that Amica integrate the systems into a couple of its branch locations as a test. Amica installed Cambridge Sound Management’s cost-effective QtPro sound masking system in two branch renovations, utilizing the same integrator that was installing the low-voltage wiring. Each branch location had two hard-walled private offices along a wall, as well as a collection of soft-walled, floor-to-ceiling supervisor offices in the center of the space, surrounded by cubicles. Small, barely visible emitters (speakers) were installed in the ceiling tiles throughout the private and open-office space. The emitters were connected by cables above the ceiling tiles to a QtPro control module residing in the branch equipment room. Amica has been able to facilitate greater speech privacy in private offices and with customer service calls using QtPro. Phone conversations are also less distracting to fellow coworkers. Music is sometimes played through the emitters, along with the masking, and the system meets Amica’s paging needs as well. QtPro will be included in all future branch relocations and renovations, and is now installed in most of Amica’s branches. Amica Mutual Insurance Co., the nation’s oldest mutual insurer of automobiles, was founded in 1907. The company, based in Lincoln, Rhode Island, is a national writer of auto, home, marine and umbrella insurance. Life coverage is available through Amica Life Insurance Company, a wholly owned subsidiary. 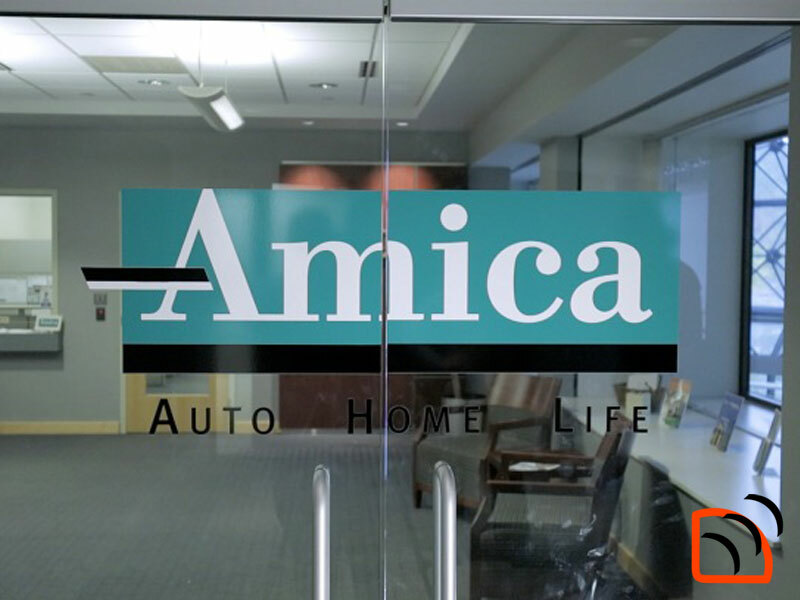 Amica employs more than 3,300 people in 43 offices across the country. For more information, visit Amica.com. Cambridge Sound Management, Inc. manufactures QtPro sound masking systems to help organizations across multiple industries protect speech privacy, reduce noise distractions, and fuel workplace productivity. Powered by direct-field Quiet Technology, QtPro works by emitting a uniform, barely perceptible background sound at the frequencies of human speech. Cost effective and easy to install, QtPro is deployed in hundreds of millions of square feet of space throughout the world including commercial organizations, healthcare facilities, financial services, government agencies, and educational institutions.